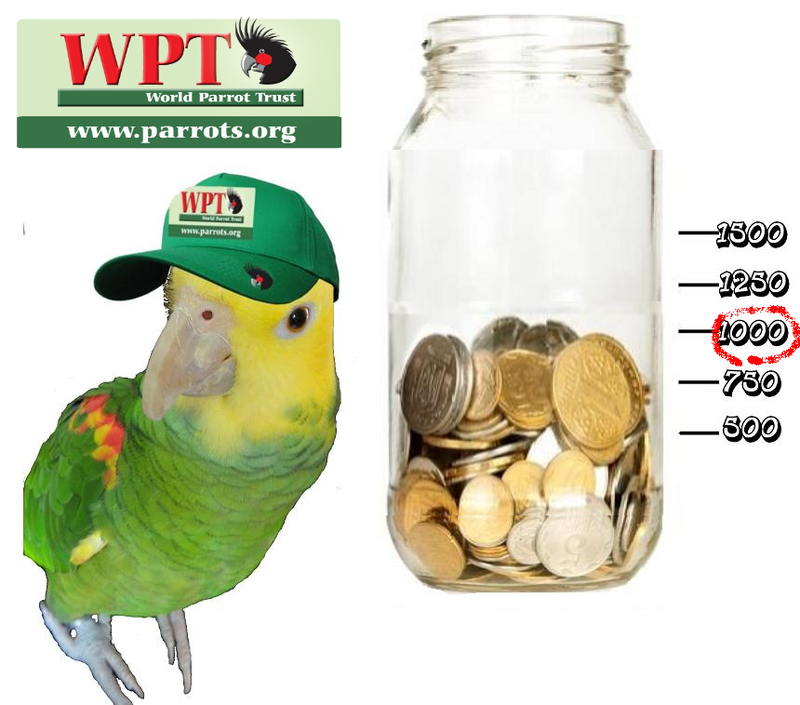 1st of every month we honestly calculate and donate to Parrot trust.. 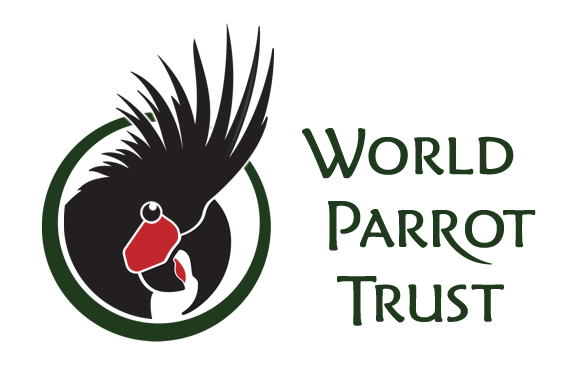 The World Parrot Trust is an international charity dedicated to saving parrots. We can help save before it is too late. 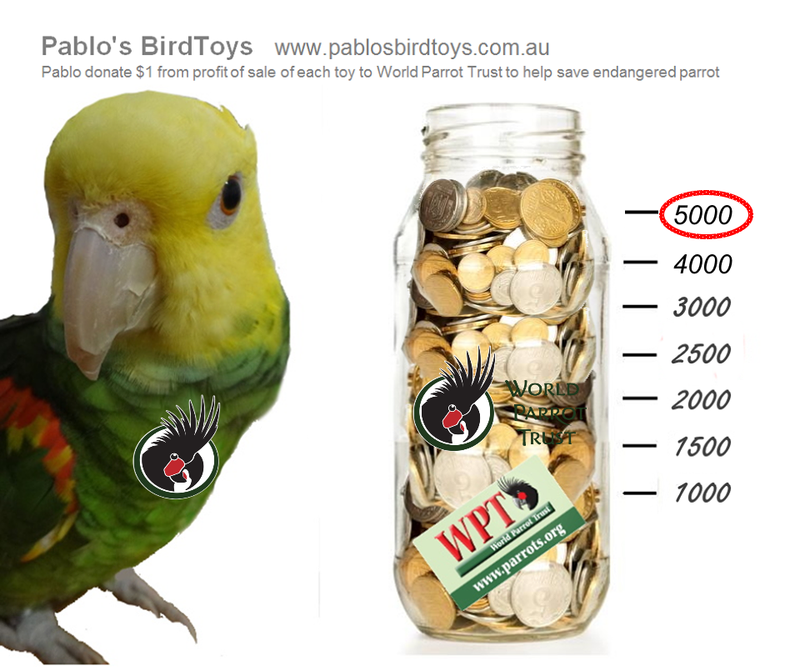 Pablo's Bird Toys is offically a part of World Parrot Trust Founder and sponsors. Pablo's donations reached to $5374. We made a milestone of $5000. Thank you for all your support ! 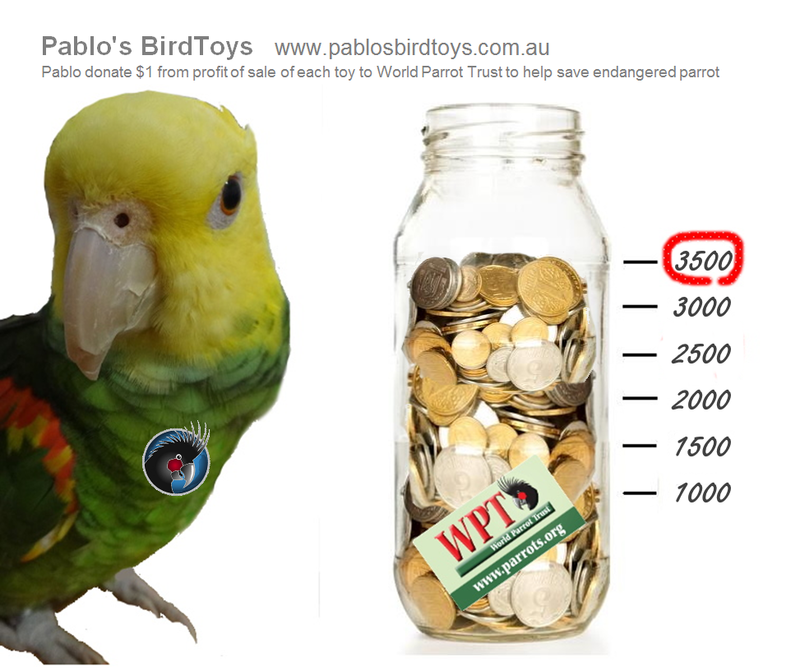 Pablo's donations reached to $3559. We are so grateful to see this result.This donation is not from us. It is all from our customers. Big thank you everyone. This is an awesome achievement. Our heart are full !! Pablo's donations reached to $2026. Your support made this amazing achievement. Pablo's donations reached to $1053. 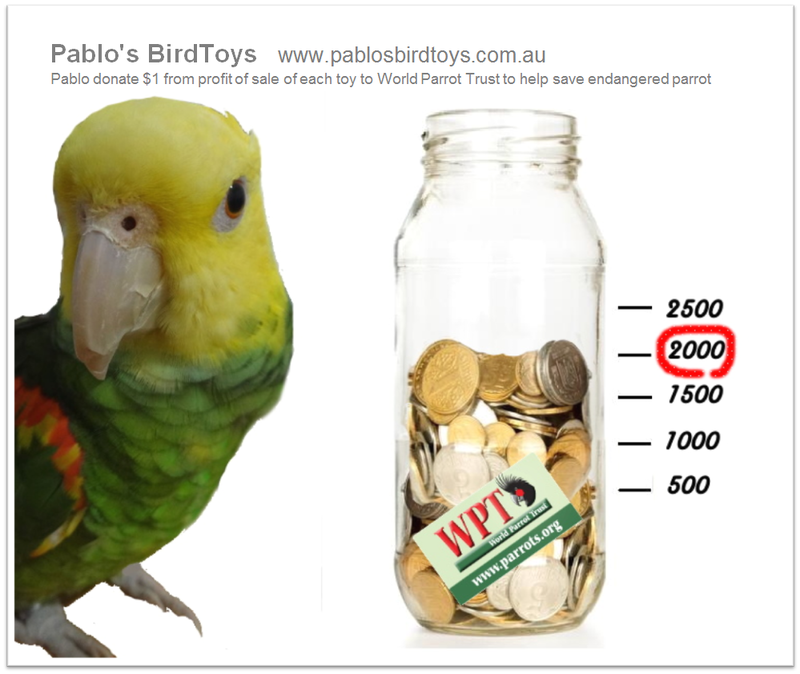 Pablo is proud to be a bridge between customers and World Parrot Trust to be able to help save engaged parrot. All content copyright Pablo's Bird Toys.